Flourish Speech Pathology provides family-centred early intervention speech therapy services to Bundaberg children and adults presenting with a variety of communication difficulties and their families. Using a strengths based approach, Flourish Speech Pathology works with local Bundaberg families to develop functional, realistic and achievable goals. 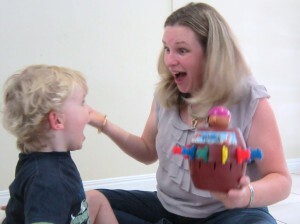 All speech therapy interventions are fun and play based to best support children to succeed and reach their potential. Flourish is independently owned and run by Sarah Elphinstone, Speech Language Pathologist. Flourish is based in Bundaberg and works with local families living in and around the Wide Bay Burnett region (including Childers, Gin Gin, Gayndah, Mundubbera, Agnes Water, Rosedale).